Here’s a free Easter word search printable that is a great game or activity for kids. Free activity for both boys and girls that is easy to do for all ages and perfect for students if you are a teacher. 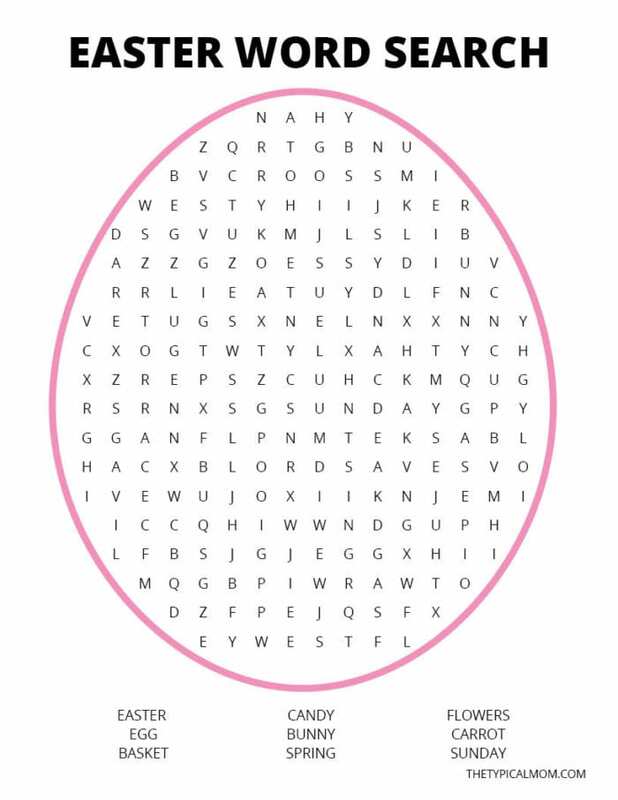 In an egg shape for Spring we have word searches for every holiday for you to print out today! Words are on the bottom of these Easter word search printables so children can cross them off when they’re found. Using a highlighter is usually the easiest things to use and add to the whole fun of it. This is a great Easter printable to offer if you have centers in a classroom. You could highlight one of them and provide the key so when time is up they can look and find the words that may have stumped them. You can also create a game out of it and whoever finds the words first is the winner. 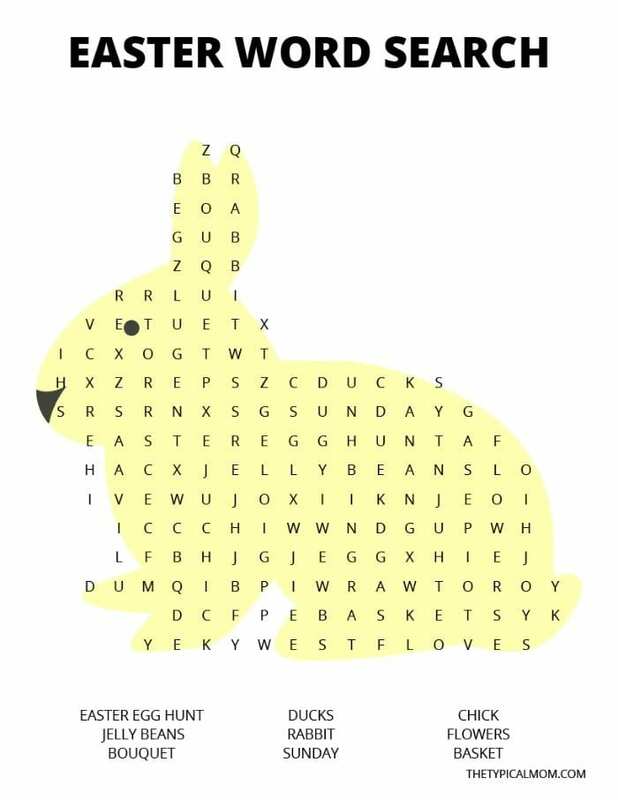 If you want to save paper and reuse this Easter word search for kids you can easily laminate them, give them wet erase markers to find the words, and then use a wipe to clean off their work. Then you can use them year after year (helpful when you’re teaching) and not have to print out any more. We have word searches for every holiday under our printables tab so you could do this for each one and always have them on hand as a fun and educational activity. Feel free to download all the egg shaped Easter word search printables you want. It is a great hidden words activity for kids on Easter Sunday with words listed on the bottom. Make a game of it with little trinkets for the first and second place person to find all of the words. 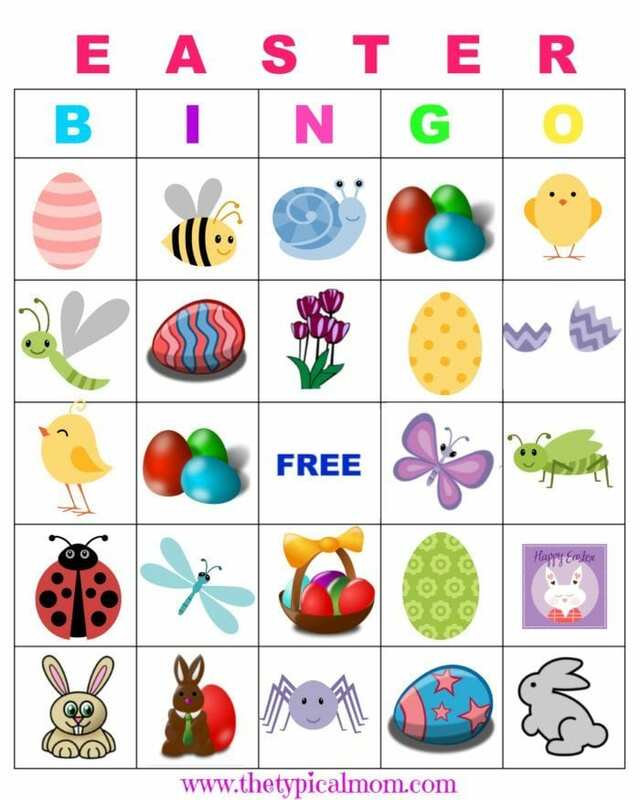 Easter Bingo game, kids love playing this! Make sure to make this colorful party punch recipe too for the occasion! We hope you have a fun holiday together and are able to use our free Easter games to help in your celebrations.